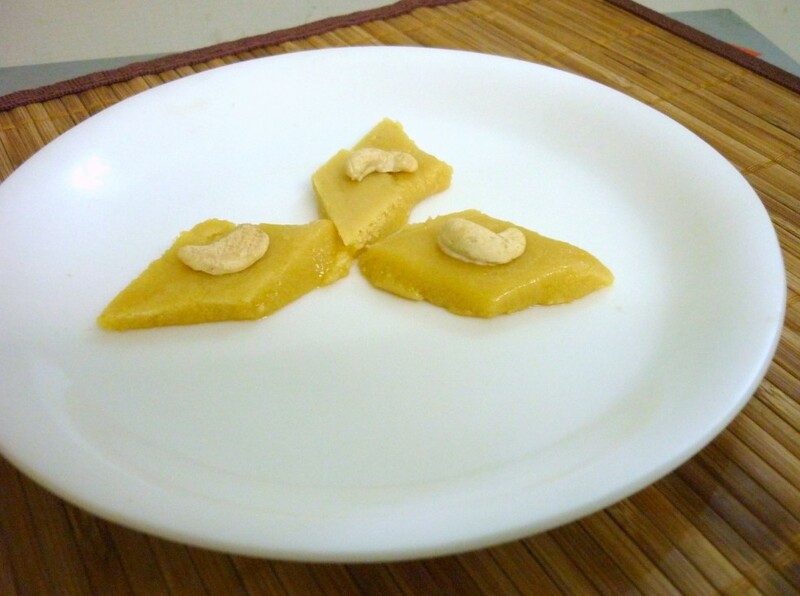 Besan Ki Burfi can be simply referred as Mysore Pak. However something made google and I came to learn lot more than I expected. In gujarati, it’s also called Magas. And the way it is prepared is little different. Same measurement, yet a different method and you arrive at a different textured sweet. In Mysore Pak also you get two different versions. 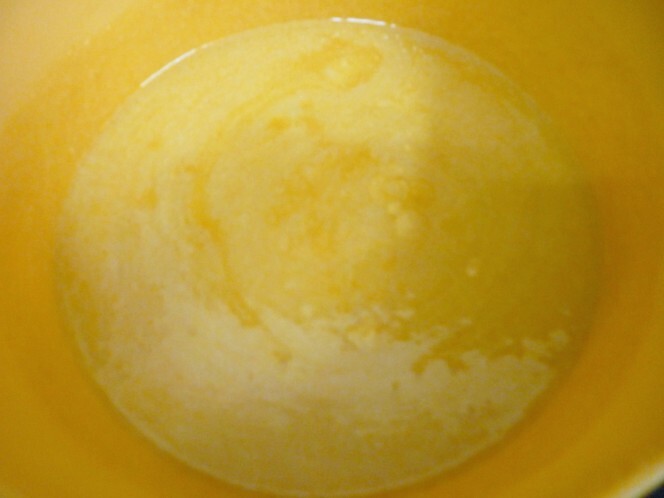 One the ghee dipping version and the other version that has a honeycomb texture, which actually uses less ghee than the first one. 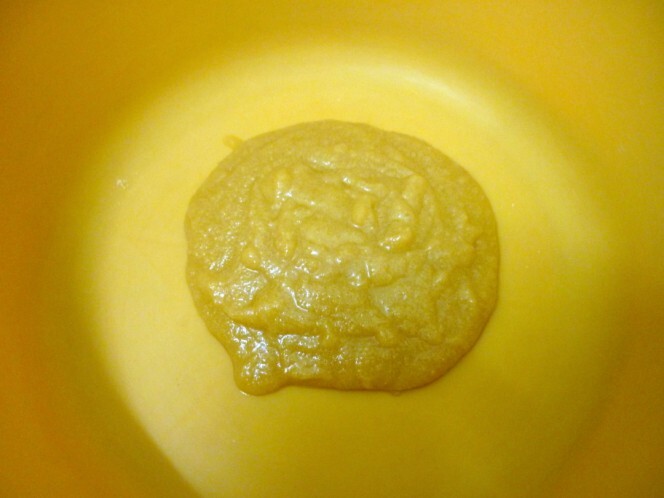 I have made both versions of Mysore pak last year. So I wasn’t planning on making another this year. 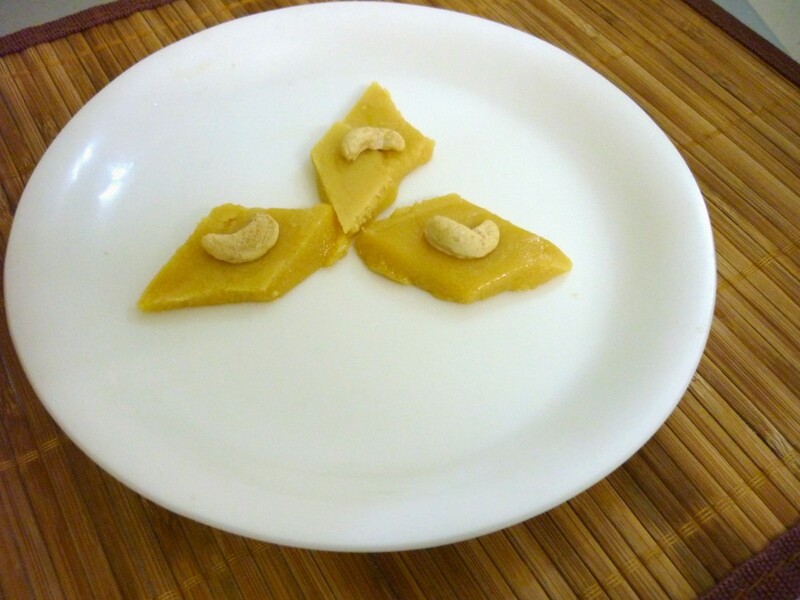 Yet for the last day of Blogging Marathon, special on Indian Sweets, I came upon this recipe that went by the name Chana dal Burfi / Besan Ki Burfi. Reading through the recipe I realized the ingredients and measurement were different. So I decided I might as well make it and moreover in microwave as I always felt cooking Besan in microwave is pretty easy. Of course, I had to time it very carefully as my first attempt in making Almond Katli ended up with a burnt one for the first batch. So there I was, popping it and pulling it out every other min, making sure I caught it right. As you know cooking in microwave, takes very less time. So I was making sure I calculate the time correctly. 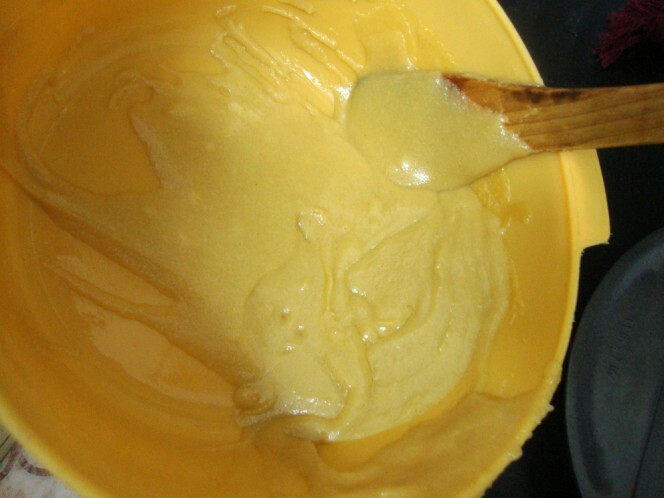 Besan is also referred as Channa Dal powder. As I had said earlier, Burfi / Barfi is a sweet in fudge form and not that loose form that gets to be called Halwa. Same ingredients and measurements. Cooking time differs to get a different sweet altogether. 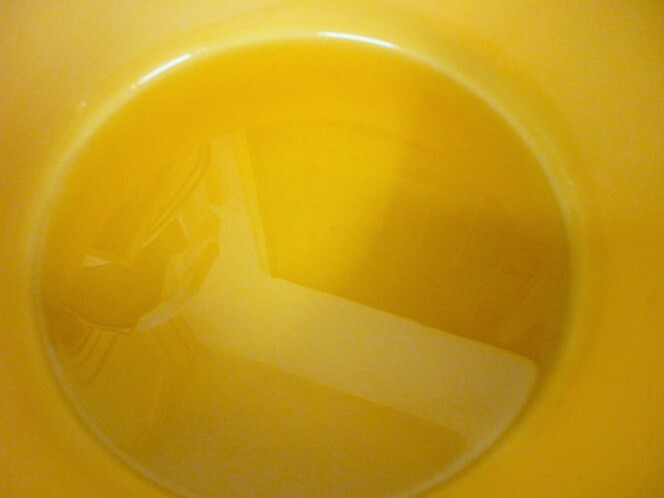 Microwave the ghee for a min. Mix in Besan and roast for 2 mins. 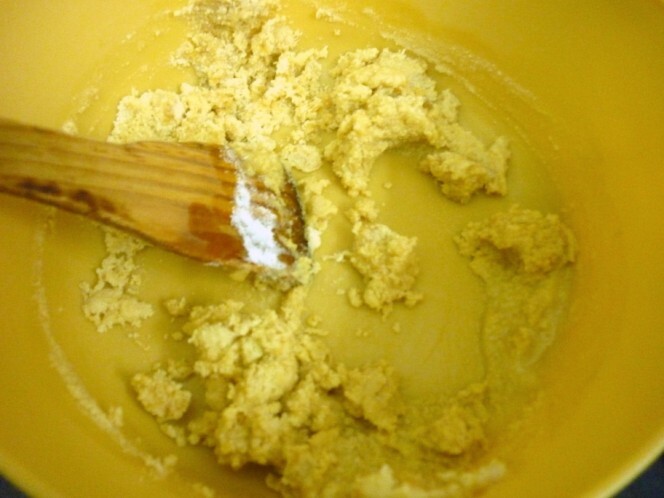 Stir the mix in between a min. 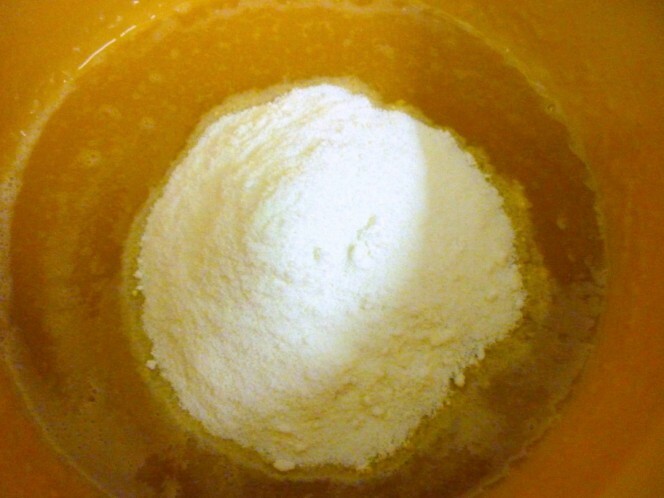 Once done, remove and mix in the milk powder. Set it aside. 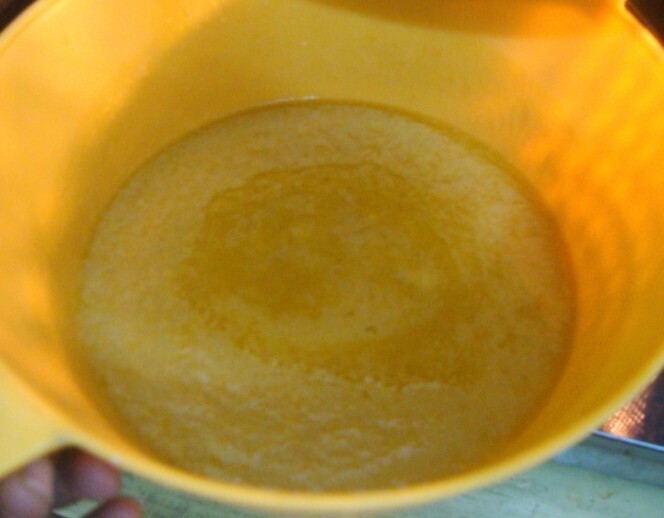 In another microwave safe bowl, add sugar and water. Micro for 3 mins. 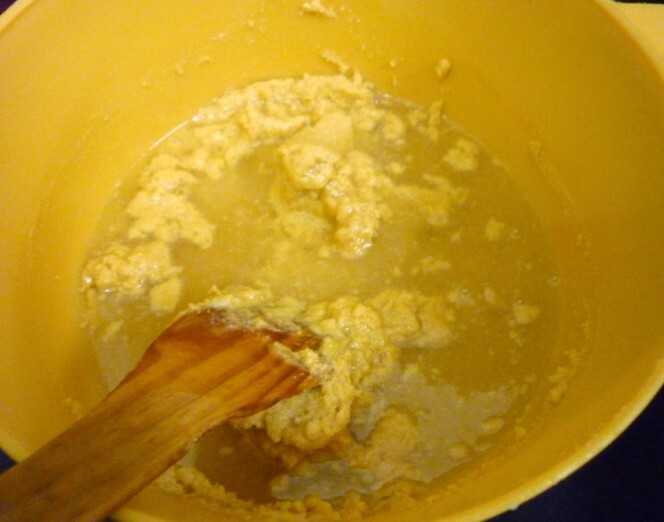 Once the sugar melts, strain it to remove impurities if any. Then again micro for 3- 4 mins. 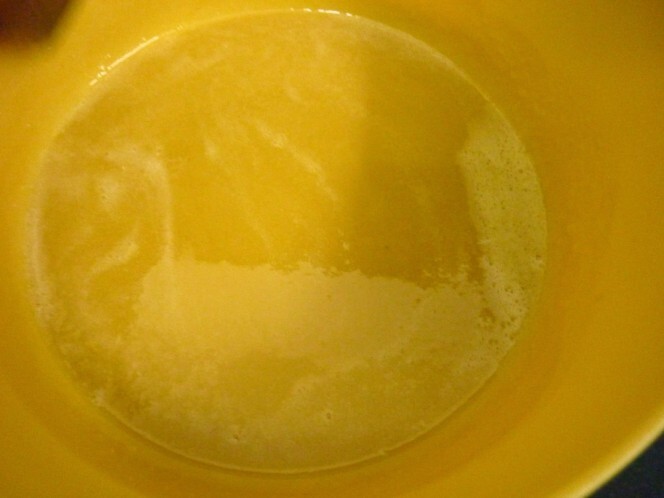 You will see the syrup all thick and can form one thread consistency. 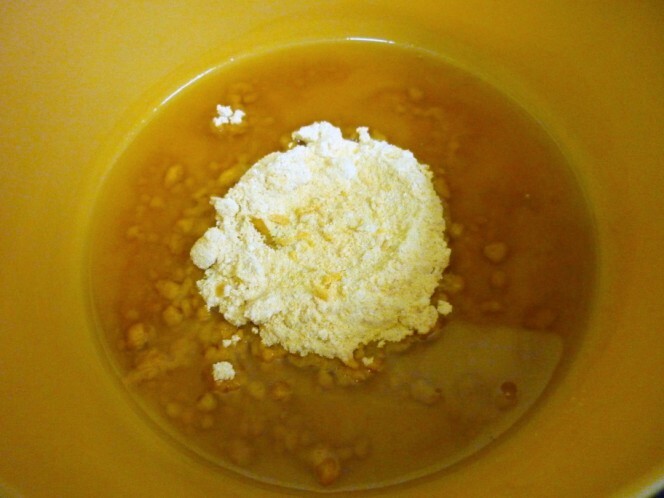 Remove and pour this syrup into the besan- milk powder mix and combine everything well. Microwave for 2 mins. 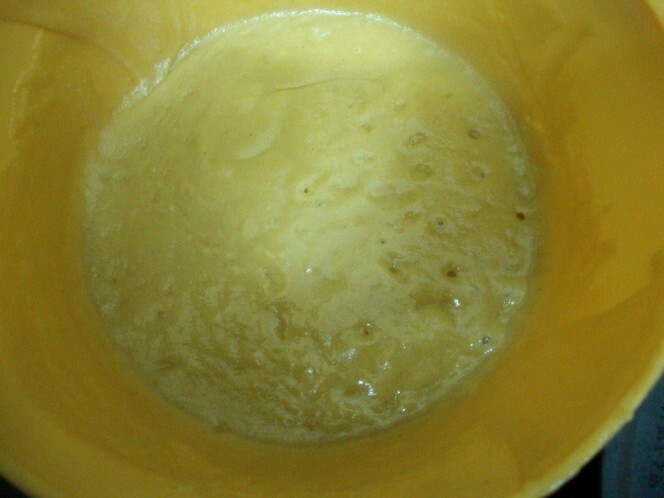 After a minute, you will notice the mix all coming up frothy. Beat it up well and again micro for another minute. 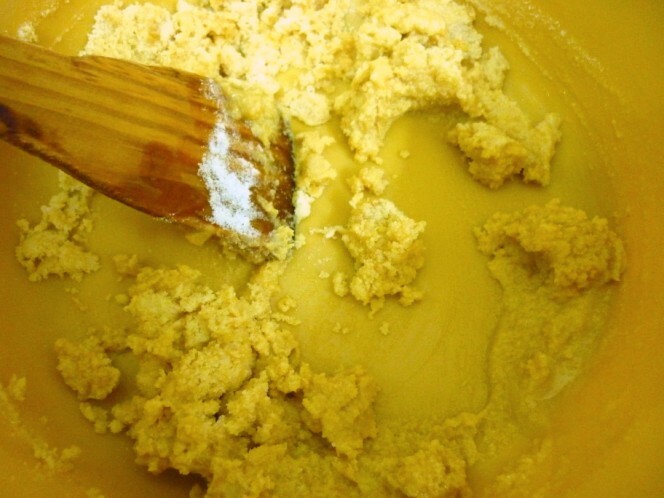 You will know it’s done, when you notice the mix sliding away from bottom. If required micro for another 30 secs. 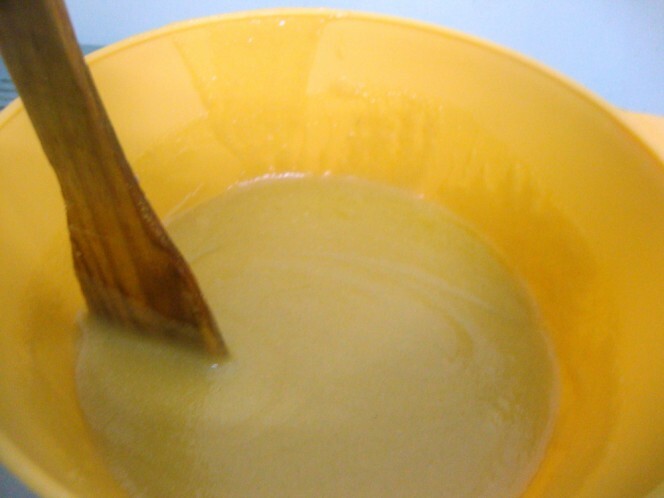 Remove, beat well and pour into a greased plate. Allow it to cool, cut into pieces. Garnish with nuts on top. 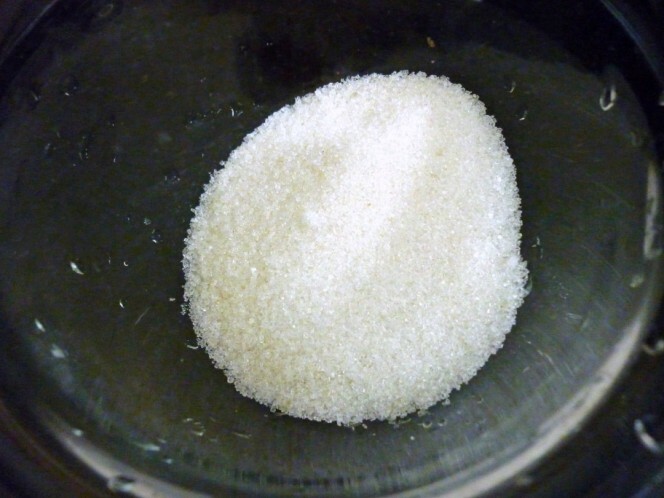 Notes: From what I read, for making Magas, the sugar is not melted but added as such for it to set. I guess that will give it’s a grainy texture. 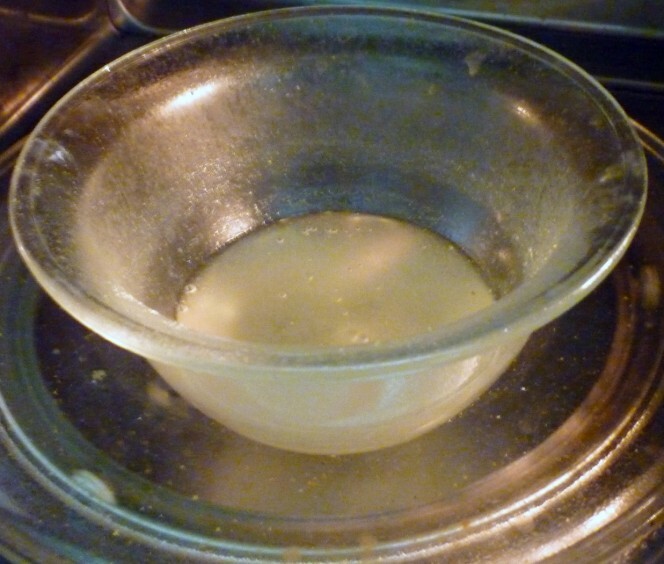 In this microwave method, however the sugar was completely melted. My mouth is watering. And thanks for this delectable entry. 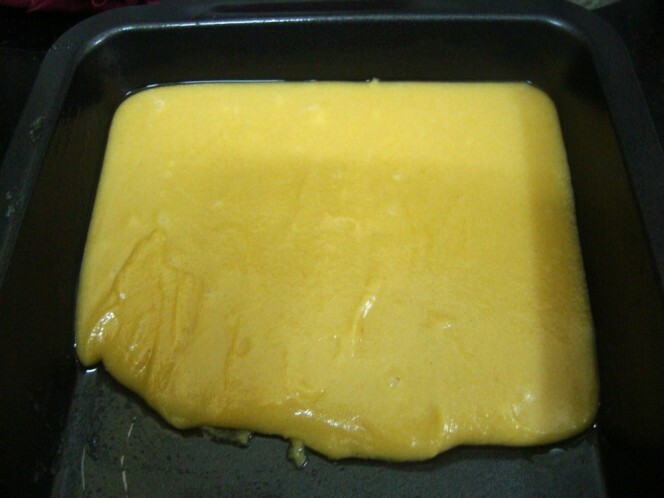 I made this version burfi on stove top in my early cooking days and was disappointed with the texture since I was expecting the honey combed one. 🙂 I know now besan burfi is not the same as Mysore pak. I used microwave once for besan laddu, liked the option of making a burfi. Nice sweet.I loved your version.It's too tempting. Burfi looks extremely super soft and addictive..
Wooooow thanks for sharing the microwave version……as besan Burfi is one of my Fav's -will give it a try soon. Very interesting texture. And preparing it in the MW is definitely less time consuming! This looks awesome Valli.. thanks for sending over to the event!! This is delicious. 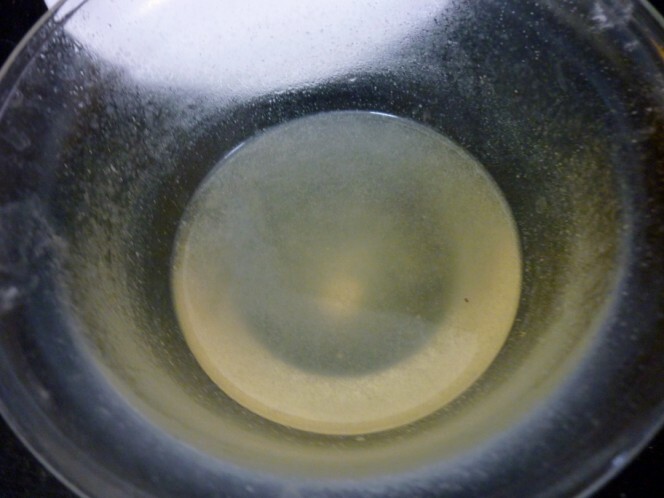 Please tell me is not Mysore Pak something in which the ghee is all out of the barfi and bubbling out it causes lovely holes in the barfi? Happy Diwali and a Prosperous New Year! I am hosting a new event which I am calling Back to our Roots. Do check out my event and send me your entries from 15/10/11 to 30/11/11. 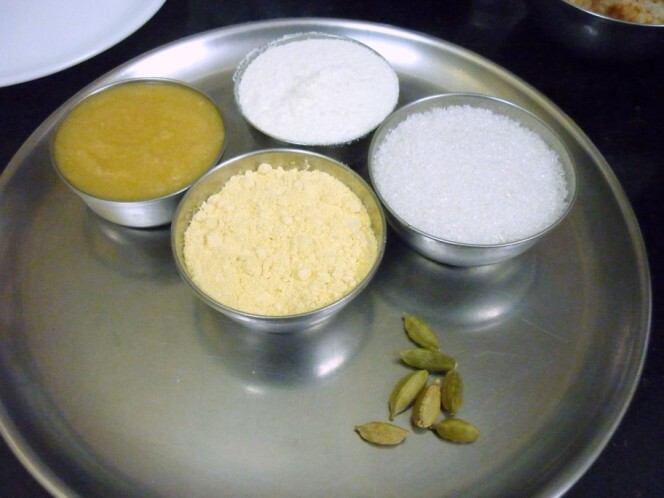 I luv this..since i made besan halwa this time..I am carving for some more besanic sweets..Luv the burfi with milk powder..